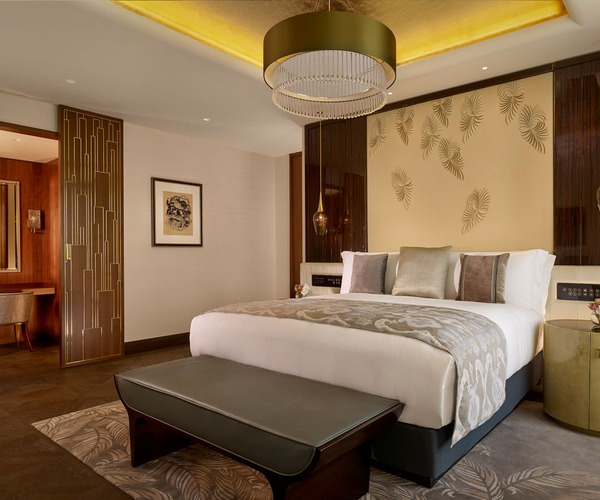 Emblematic of the city and its growing power and prominence, The Ritz-Carlton, Astana combines Central Asian and European tradition in seamless harmony, perfecting the luxury experience unlike any other five star hotel in Kazakhstan's capital. With its elevated location in the graceful Talan Towers, guests are introduced to a view of the glowing cityscape, elegant accommodations, relaxing spa services and exceptional culinary experiences. Spa Treatments are available from 9:00am to 10:00pm. The Fitness Center is available 24 hours a day to hotel guest and resident owners. The Swimming Pool is available from 7am to 10pm for hotel guests and resident owners. 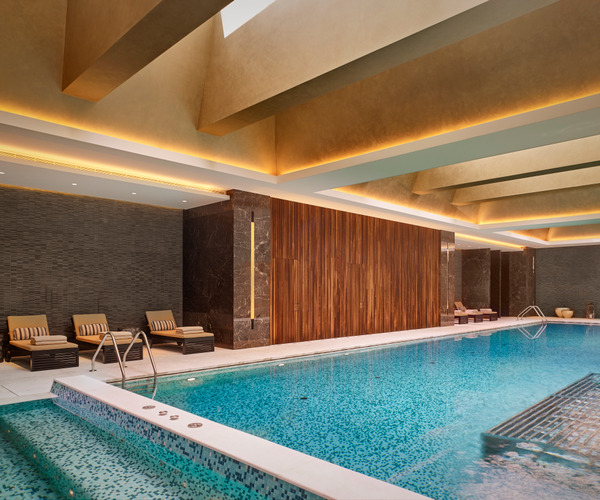 Spa amenities include dry and steam sauna, swimming pool and Jacuzzi. Adjacent to the spa, the 320-square-meter fitness studio, featuring the latest Technogym Artis equipment, provides the ideal location for wellness enthusiasts. The beauty of Kazakhstan’s modern capital is celebrated with thoughtfully designed décor throughout all hotel rooms and suite accommodations. Spacious layouts, luxurious bathrooms and indulgent bedding tempt one to forgo exploration and welcome seclusion instead. Excite your palate with an array of local and seasonal foods and beverages. The fine dining restaurants at The Ritz-Carlton, Astana offer specially selected dishes that carry traces of old world Kazakhstan cuisine along with the natural flavors of the surrounding countryside. Flooded by natural light and overlooking the city, the all-day dining restaurant MÖKKI focuses on seasonal flavors and locally sourced ingredients. Sunday brunch is offered twice a month. Also, setting the standard for refined dining in Astana, Selfie Restaurant offers innovative modern cuisine based on international recipes and local ingredients. The dining room offers a panoramic city view. And designed to reflect its namesake, “river,” ӨZEN bar and lounge is an all-day destination for light meals, coffee, daily Afternoon Tea and creative cocktails.